The Fort Collins Historical Society is a place for those interested in stories, in history, in community and in culture to gather together to learn more about those who have come before us and to appreciate it in the company of others who enjoy these things as much as we do. 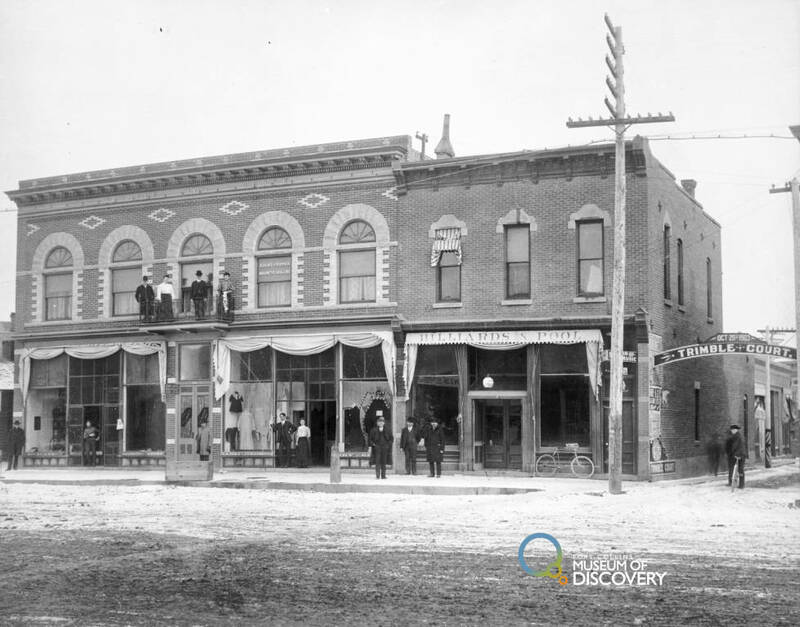 The roots of the Fort Collins Historical Society stem from two earlier organizations – The Pioneer Association, founded just after the turn of the twentieth century and the Indian Relics and Hobby Club of the 1930s and 1940s. A large historical effort involving many local citizens put together the Centennial of the fort in 1964 and provided an additional legacy that led to the creation of the Society 10 years later. A small group, most of whom came from pioneer families, met at the old Pioneer Museum on the evening of March 2, 1974. They discussed the importance of preserving the rich heritage of town as it approached the 110th anniversary of the founding of the Fort Collins Military Post and the approaching Colorado Centennial and the U.S. Bi-Centennial. Charles Hagemeister, acting chair and grandson of a pioneer farmer; Martha Trimble, granddaughter of the Trimble Court and Trimble Block family; Col. Joe Mason, grandson of one of the earliest settlers; David Watrous, grandson of one of the founders of the Colorado Agricultural College; and Richard Baker, grandson of an early mayor of the city, were joined by two historian newcomers – Mike Koury and Wayne Sundberg. They reviewed the accomplishments of the two earlier groups and proposed creating a “Larimer County Historical Society.” Discussion evolved the name into the “Fort Collins Historical Society” and appointed officers and board members. Mr. Hagemeister agreed to be the first president with the others taking on other offices and adding John Moore and Jo Miller as board members. The first regular meeting of the Society occurred on March 25th and committees were formed to work on a constitution and by-laws. The documents were submitted to the State of Colorado and the group was officially incorporated under the laws of the state on October 10, 1974, completing an eventful first year for the Society. Initially the group was a “Meet and Eat” group with monthly programs on Fort Collins, Larimer County, and Colorado. As the group grew, the logistics of a monthly dinner meeting became too cumbersome, so the group moved to a meeting and program format on the first Tuesday of the month, with an occasional Christmas pot-luck dinner. Over the years, members have served on various committees and commissions relating to local history – the Fort Collins Landmarks Preservation Commission, the Cultural Resources Board, the CSU American West Program Committee, and several others. The society has provided historic walking tour in the downtown as well as bus tours to outlying county historical sites. The Society also provided monetary support to projects like the 1862 Virginia Dale Stage Station’s initial stabilization and renovation and the preservation of a couple of historic log cabins. Members were active supporters of the restoration of Birney Car 21 and the rebuilding of the Mountain Avenue tracks and overhead wire. In 1976, several members participated in the Heritage Committee of the Fort Collins Centennial/Bi-Centennial helping to place plaques on 24 local structures identifying them as historic landmarks. In 1980, the Society began the celebration of our city’s birthday. Each year it was responsible for asking the Fort Collins City Council to declare August 20th as “Fort Collins Day.” Along with the Fort Collins Museum, a birthday celebration, complete with cake and ice cream, was presented to the community at Lincoln Park. Over the years, the Society has sponsored various activities including picnics, ice cream socials, tours, entertainment, and worked in cooperation with other historical organizations. In 1986, working with photographer John Clarke, the society donated over 2,000 photographs from the Coloradoan and the Mark Miller collections to the Local History Archive at the Fort Collins Public Library. A framed copy of a February 27, 1908 H.C. Bradley posed College Avenue photo of “all the automobiles in Fort Collins” along with a photo recreation of the scene in cooperation with the Fort Collins Horseless Carriage Club and photographer Clarke, were sold to raise money for cataloging and copying the photos. “CACHE LA TRIVIA” a large fund- raising contest, raised a nice chunk of money for the historic photo collection at the archive in 1988. “Window of History” displayed various Fort Collins history items in store front windows in the heart of the Old Town Historic District in the late1980s. 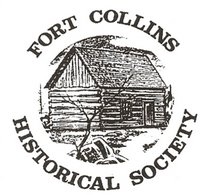 The Society became involved with the City of Fort Collins in their efforts to preserve and stabilize the 1882-83 original Fort Collins Water Work. This participation continues today. At the Society’s annual meeting each April, the Society presents awards to individuals and organizations in the community who have made outstanding contributions to our city’s heritage. The categories for these awards are the Preservation and Restoration plaque, the Society’s Recognition plaque, a Youth History Achievement award, a Writer’s award, and the President Recognition certificates. The Society continues to thrive, with strong leadership, good participation, and interesting programs, and should continue to be a strong advocate in promoting an awareness of our historic past.